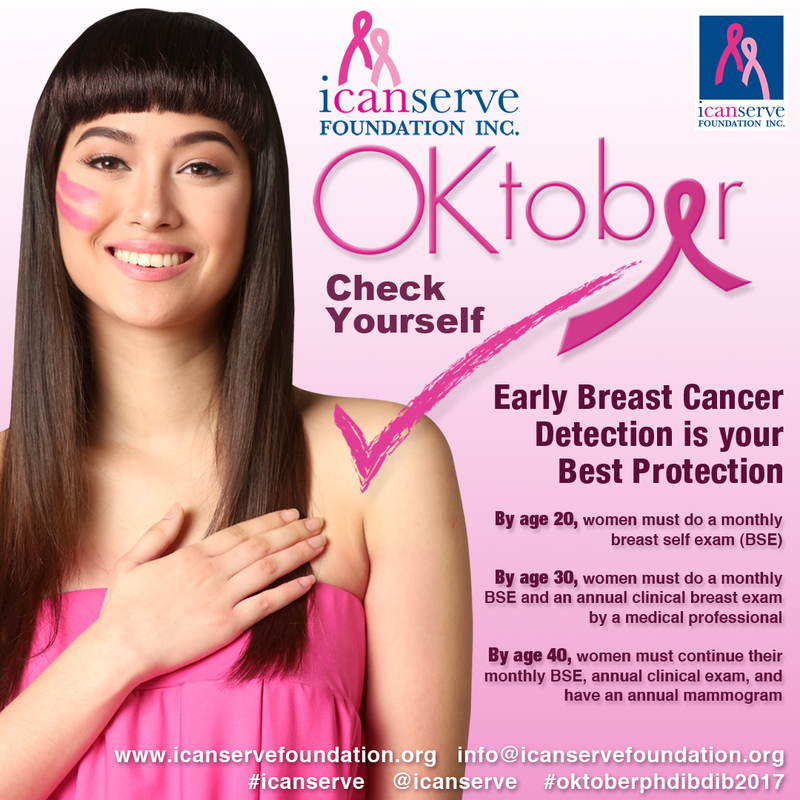 ICanServe Foundation, its network of volunteers, survivors and advocates, thanks its partners and host communities for helping it stage #OKtoberPH, a multi-venue breast cancer forum, with breast cancer screening to be conducted in select sites, on October 8, 2015. The event gives local communities a taste of its flagship program, Ating Dibdibin. The program, which is done in cooperation with local governments, teaches barangay health workers how to conduct clinical breast examinations, encourages women to go for screening, and helps those diagnosed to navigate the journey toward healing and recovery. Ating Dibdibin provides hope to women at risk, especially in underserved communities where there are few doctors and modern health care facilities. Through the active engagement of local government units, Ating Dibdibin has been serving women at risk in Marikina City (since 2008), Panabo City in Davao del Norte (since 2010), Taguig City (since 2012) and Muntinlupa City (since 2014). For #OKtoberPH, ICanServe partnered with the Philippine Society of Oncology, Inc., Philippine Daily Inquirer, the Metro Manila Development Authority, Metro Manila Mayors’ Spouses Foundation, Inc., Gift2Life, Green Bulb Public Relations, HI Precision Diagnostics, Philips, Unilab, Roche, the cities of Marikina, Muntinlupa, Taguig, Panabo, Valenzuela, Brgy. Bel Air Makati, Brgy. San Antonio Pasig, Kalibo Municipality, Resurrection of Our Lord Parish BF Homes, Asian Hospital, Victor R. Potenciano Memorial Medical Center, Festival Mall, St. Michael’s College of Laguna, Ramon Aboitiz Foundation, Nurse Corps AFP, Carewell, Medical City Support Group, Living Hope, Smiles, Minda’s Buddies, Buhay Ka! 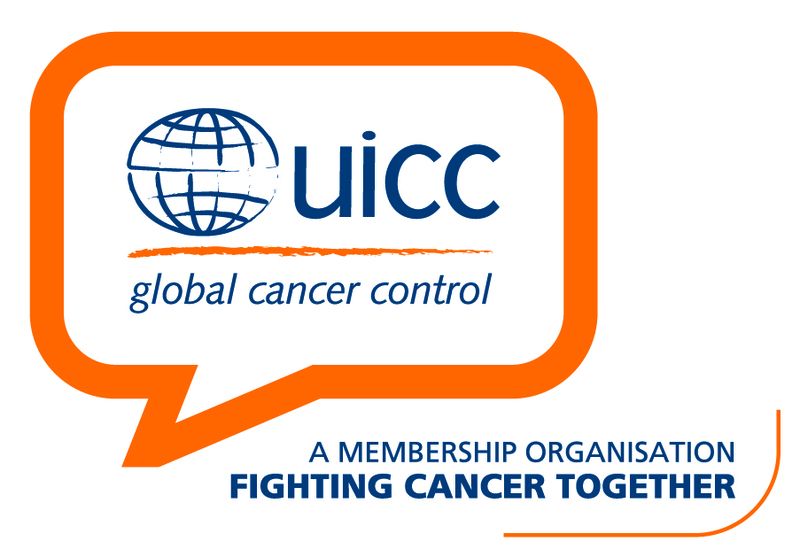 Isabela, Bosom Friends Iloilo, Thrive, Mindanao Breast Cancer Support & Empowerment Association, Rotary Club of Kandaya (Tacloban), Rotary Club Zamboanga, Rotary Club of Cebu Fuente, Panay Health Care. Actors Enrique Gil and Liza Soberano, known for their ABS-CBN hit TV-series Forevermore that aired early this year, volunteered to advocate #OKtoberPH and its message, “Early Breast Cancer Detection is your Best Protection.” They would like to encourage women of all ages to follow the early breast cancer detection guidelines: At age 20, conduct a monthly breast self-examination (BSE): At age 30, conduct a monthly BSE and submit yourself to a clinical breast examination (CBE) by a trained health worker or medical professional; At age 40, conduct a monthly BSE, go for a CBE, and get a baseline mammogram.